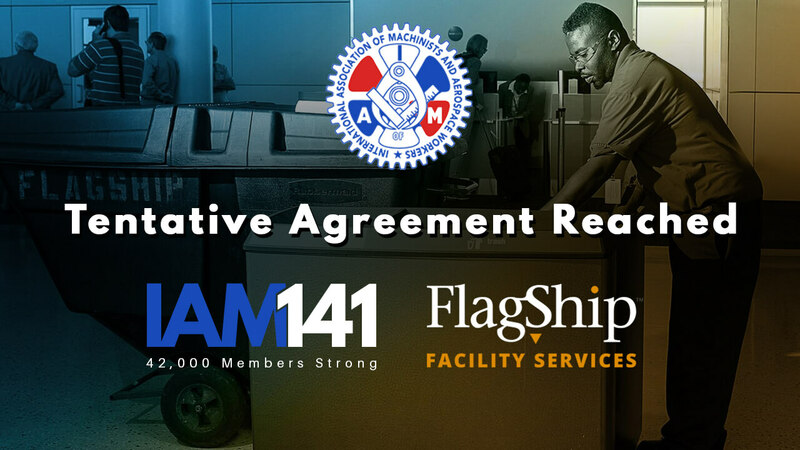 Forty-one members of Local 1781 of the IAM representing employees of Flagship Facility Services, Inc. at SFO will vote on a tentative agreement reached by negotiators and the company and announced today by IAM District 141. Voting will take place on July 11, 2018, from 12 noon until 5:00 PM at 1511 Rollins Road, Burlingame, CA 94010. Please direct any questions to Troy Rivera at 925-570-3190.